British Airways is facing, even more, disruption as the biggest staff walkout since 2010 is set to get underway beginning Saturday 01st July. The airline has already cancelled some flights in preparation for the expected disruption with a number of long haul flights affected. It comes as the airline was fined by the Italian authorities for failing to properly tell customers about their ‘no show’ ticket rules. Elsewhere, the Israeli airline, El Al has been told to stop deliberately segregating men and women on its flights. A court in Jerusalem has told the national flag carrier that their current policy breaches Israeli discrimination law. Meanwhile, Emirates has said it has seen a rebound in bookings for its U.S. services and Lufthansa’s CEO has denied any attempt by his airline to takeover struggling rival, Air Berlin. An investigation by The Independent newspaper has revealed British Airways is already cancelling some flights ahead of a major strike by cabin crew at the airline. 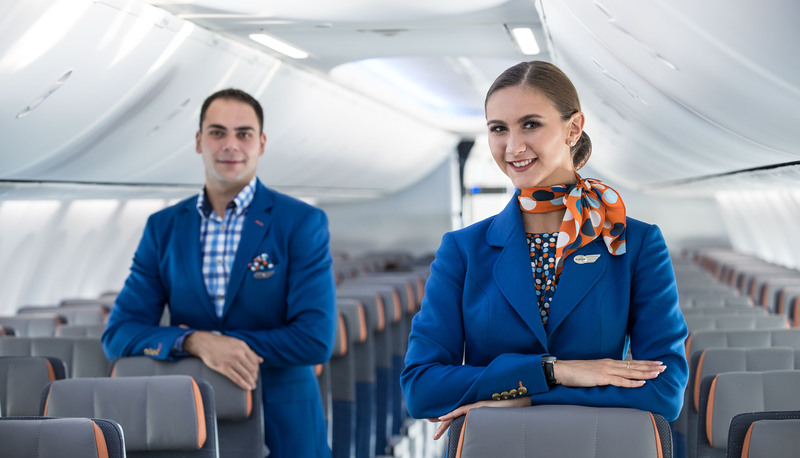 The two-week walkout by Mixed Fleet cabin crew is due to begin on 01st July and end on 16th July – the crew represent approximately 35% of the airline’s total cabin crew workforce. Unlike previous strikes, British Airways has said all short haul flights will be unaffected but has confirmed the cancellation of several long haul services. One of the worst affected routes will be its London – Doha route with 12 cancellations over the first 6 days of the strike. Passengers on these flights will be rebooked onto Qatar Airways services. Abuja, Nigeria – The daily departure for the first five days of July has been cancelled. Muscat, Oman – The outbound flight on Saturday 01st July cancelled / Return on Sunday 02nd also cancelled. Manama, Bahrain – There’s information to suggest that some services to Bahrain’s capital have been cancelled by BA. Two years ago, Renee Rabinowitz, a grandmother and Holocaust survivor was ordered by a flight attendant to switch seats on an El Al flight from Newark to Tel Aviv. The problem was that her original seat was adjacent to an orthodox Jewish male. He complained to the airline about the seating arrangements, citing his religious beliefs and flights attendants were more than happy to step in. Following an investigation by the Israeli authorities, it turned out this wasn’t an isolated incident. Now, Judge Dana Cohen-Lekach of Jerusalem Magistrate Court has ordered El Al to stop such practices immediately. Rabinowitz has also been awarded damages as compensation. In an interview with German newspaper, Bild am Sonntag, Lufthansa’s chief executive, Carsten Spohr has said his airline wants to help, not take over struggling rival Air Berlin. His comments have come amid criticism being levelled at Lufthansa that it plans to take over Air Berlin – a move that would likely trigger a competition inquiry. Last year, Air Berlin made a record net loss of 782 million euros ($875 million). British Airways and Abu Dhabi-based Etihad Airways have received fines totalling €1 million (USD $1.1 million) for failing to inform customers about their ‘no show’ ticket rules. The judgement was handed down by Italy’s competition watchdog last week. The Italian authorities accused the two airlines of not making it clear enough that the return leg on roundtrip tickets would be cancelled if the customer did not show up for the outbound flight. In contrast, Emirates, Iberia and KLM, were congratulated for committing to making their fare rules as transparent as possible. Emirates has said it’s seeing a recovery in U.S. bookings following a downturn caused by the controversial Laptop Ban. The airline has taken the decision to reinstate its Orlando service to once daily (which had been running 5x weekly since May). The airline has said Dubai Airport already has robust security procedures in place but would be willing to make upgrades where necessary if it meant the Laptop Ban would be lifted. Clark has even suggested, Dubai would be happy for U.S. officials to oversee the security regimen in Dubai.